In its 9th edition the festival brings a week of free concerts at Ibirapuera Park and at the Bourbon Street Music Club. 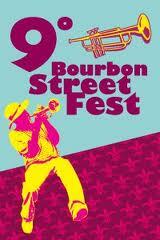 This year the groups wil show the rich panorama of jazz from New Orleans. Between the artist of this year: Delfeayo Marsalis Sextet, John Mooney and Bluesiana, Ladies of Soul, Cythia Girtley, The Dirty Dozen, Amanda Shaw, Nathan and the Zydeco Cha Chas. Anima Mundi in Sao Paulo, from July 27 to 30. Check it out! 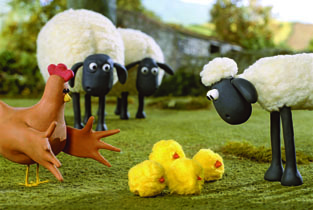 From July 27 to 30, the 19th edition of the Brazilian International Festival of Animation, Anima Mundi, will be in Sao Paulo. The festival is held annually and is considered one of the largest in Latin America. 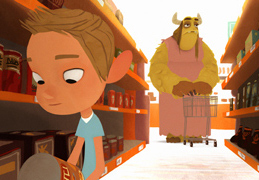 Among the new features is the inclusion of a terror short movies session and the Chilean animation movies (this session is called Chilemonos). For further information, the website has the English version. The Parks Ibirapuera and Villa-Lobos, offer the option of bicycle rentals that cost around R$5 per hour. To rent them, a Brazilian ID (RG) or some kind of identification is required as collateral. The payment is made when you bring back the bicycle. At Ibirapuera Park, the price is R$5 per hour (at gate 3). You can rent bicycles for adults and children, as well as bikes that accommodate the elderly and the disabled. The company's name is Flavio Bikes. 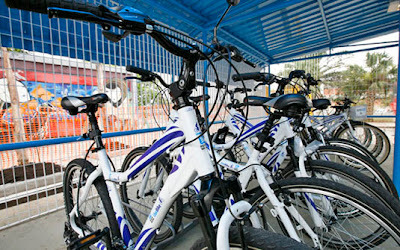 At Park Villa-Lobos, Green Bike Rental is at the main gate, and the price per hour varies from R$6 to R$10, depending on the type of the bicycle. There are options for bicycles without gears, with gears, for children and with stylish designs. You can also rent skates and skateboards for as little as R$5 and tandem bikes (two adults and one child) R$13 (half hour). The service is fast in both parks. The trick is to check the bikes because sometimes the bicycles are broken. Just be aware and have fun! FILE 2011 (Electronic Language International Festival) brings interative installations to Sao Paulo. For free! The 12th edition of FILE (Electronic Language International Festival) happens in São Paulo. The program brings: immersive and interactive attractions, animations, tablets, games, documentary, besides works of web art, video, music, video clips and sound design. During the first week, it will be possible to watch a peformance presentation entitle Hypersonica at the Cultural Center's Theater from 8 pm. Between July 12 and 21 the FIESP Cultural Center - Ruth Cardoso proposes the workshop AA São Paulo Design, part of the program AABrazil Visiting School, organized by the London Architectural Association School of Architecture, under the guidance of architects Franklin Lee and Anne Save de Beaurecueil. Find out! The FILE PAI (Paulista Avenue Interactive) will be happening on different places in Paulista Avenue and surroundings, with a program that includes demonstrations through electronic and digital technics. Know more. Find out! FILE 2011 also presents the meetings of FILE SYMPOSIUM on July 19-22, 2011, at the São Paulo Cultural Center. It's better to arrive early in order to be part of the meetings. The tickets are delivered in order of arrival. It´s recommended arriving 30 minutes before each lecture. The City Council will elect the 10 best Sugarcane Juices of the city. The Caldo de Cana (Sugarcane Juice) is a drink that fits best with pastel on street fairs. It's very famous in Sao Paulo. The contest 'Circuito Garapa*' will evaluate product quality, flavor, variety, service and tent's appearance. The evaluation of Sugarcane Juice will be made by a popular jury. If you want to participate, is possible to subscribe sending an email to mrloureiro@prefeitura.sp.gov.br, using the word "Juri" in the subject. You also have to type on the text body, your personal email, full name, address/town and telephone number. Those selected will attend a training, which will be instructed in the pre-established criteria for the contest. The 10 winners of the 'Circuito Garapa*' will be revealed on August 22nd at Praça Charles Miller, along with the winners of the Best Pastel de Feira de São Paulo. The event will happen from 8h30 am till 1h30 pm and is open to the public. Currently there are over 500 Sugarcane Juice stalls spread on plenty of street fairs of São Paulo and a wide variety of combinations with seasonal fruits. Try to be part of it! 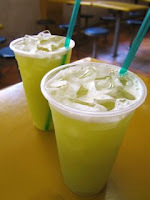 (*) Garapa is an adjective to sugarcane juice. The Rua Augusta has a new club. 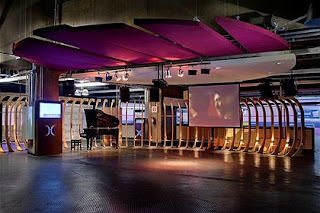 Named as a TV program of the '60s, the Beat Club is the idea of three famous people of the Sao Paulo night life: the promoter Vivi Flaksbaum, the hostess Adriana Recchi and Gigio, the owner of the bar Matrix. The environment is simple, with a pool table in the lounge, a stage for live performances on the ground floor and a DJs space in the basement, ranging from electro to rock and roll. The club hosts the party Cio with Dj Glaucia + + on Wednesday night and the historical Hell’s Club after-hours electronic party led by DJ Pil Marques from 4 am every Saturday. When: Tuesday, from 9 pm till midnight; Wednesday to Saturday, from 10 pm; Sunday from 8 pm. The After-hours party starts at 4 am. The Museum of Modern Art (MAM), will host from Friday 15 the exhibition "No Ateliê de Portinari: 1920-45", of about 90 works. Who is the museum will have the opportunity to see works such as “Estivador” (1934), “Domingo no Morro”, (1935) e “Marinha” (1927). 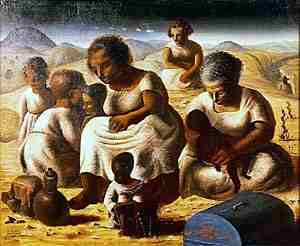 The artist, who studied in France, is one of the greatest modernist painters of Brazil. His focal topic was the social work. In his works he highlights the characteristics of Brazilian people, the rural life of people and migration from the Northeast of the country. Will Sao Paulo host the 2014 World Cup opening game? 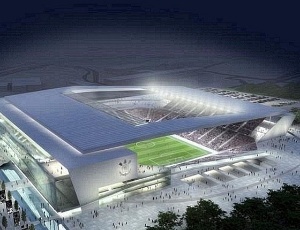 The president of the CBF, Ricardo Teixeira, made his congratulations to the governor Geraldo Alckmin (PSDB-SP) because the Corinthians (one football society and team of Sao Paulo) and Odebrecht have presented yesterday the financial guarantees for the construction of the stadium Itaquera to the FIFA. With this news, Sao Paulo has big chances to host the opening game of the 2014 World Cup. The announcement on the opening game will probably be done today, July 13. Pearl Jam will perform in Sao Paulo, Rio de Janeiro, Curitiba and Porto Alegre in November. The band performed in Brazil for the first time in 2005. The American grunge band comes first to São Paulo, with a concert on November 4th at the Estadio do Morumbi. Rio comes next, on November 6th, at the Praça da Apoteose. Curitiba, will be on November 9th, at the Paraná Clube Stadium and on November 11th, at Estádio Zequinha in Porto Alegre. Tickets go on sale on August 1st through the Tickets For Fun website (prices vary from state to state). Pearl Jam is on a world tour in celebration of their 20 year career. The group is also preparing a documentary about their story. They are also launching a two-disc live compilation to celebrate the date. During the tour, the lead singer, Eddie Vedder, will be promoting his solo album, entitled Ukulele Songs. Sao Paulo beats London, Paris and New York and becomes the tenth most expensive city in the world. Nowadays, according to Mercer Consulting, living in São Paulo is more expensive than in most European and American cities. The study is based on the cost that multinational companies need to spend to maintain a foreign official in the city. In 2010, California was only the 21st most expensive city in the world. But the appreciation of the local currency (Real), the boom of rental prices and food have made this city one of the biggest jumps among the 214 cities evaluated. Rio de Janeiro also rose in the rankings, moving from 29th most expensive city in the world in 2010 to 12th this year. The world's most expensive city to live for a foreigner is Luanda, followed by Tokyo. Moscow is the fourth, followed by Geneva. Zurich, also in Switzerland, is the seventh most expensive in the world. New York is only the 32nd most expensive. The band Limp Bizkit has confirmed via its official website two concerts in Brazil in July. 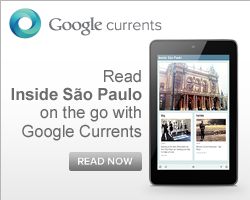 Last October, the group canceled presentations in Sao Paulo and Belo Horizonte. According to them, the singer Fred Durst was sick. The tour is to promote the new album Gold Cobra, which remarks the meeting of the original members, including the acclaimed and always weirdo guitarist Wes Borland. On July 23, the band performs at Fundição Progresso, in Rio de Janeiro. 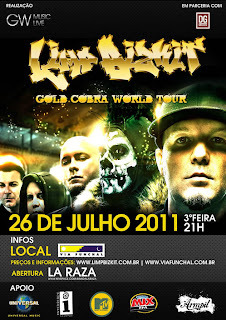 In Sao Paulo, fans can see Limp Bizkit at Via Funchal, on July 26. Following the recent trend of international shows in the country, the bleachers will be divided into two sectors: normal and VIP. Check out the prices. 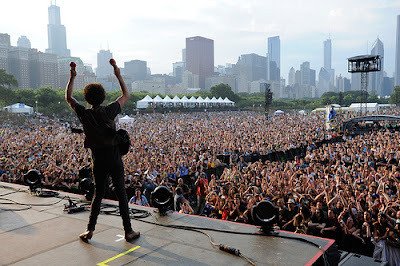 Today was confirmed that Brazil will have its first version of Lollapalooza. According to Geo Events, the festival should take place on April 7 and 8 of 2012, at the Jockey Club of São Paulo. For the first time since its begining, in April this year, the festival was held outside the US. 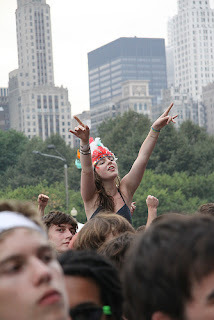 The Latin American edition in Santiago, Chile, attracted about 100 thousand people to watch Flaming Lips, Cat Power, Kanye West and many other bands. The festival, founded in 1991, has been organized in Chicago since since 2005. Other informations about the Lollapalooza in São Paulo (such as attractions, for example) will be released straight after the US edition, between August 5 and 7. This year, Lollapalooza should receive more than one hundred bands, including Coldplay, Arctic Monkeys, Foo Fighters and Beirut. The Kill and Cage The Elephant and the youngest Bob Marley son, Damien 'Jr. Gong' Marley.